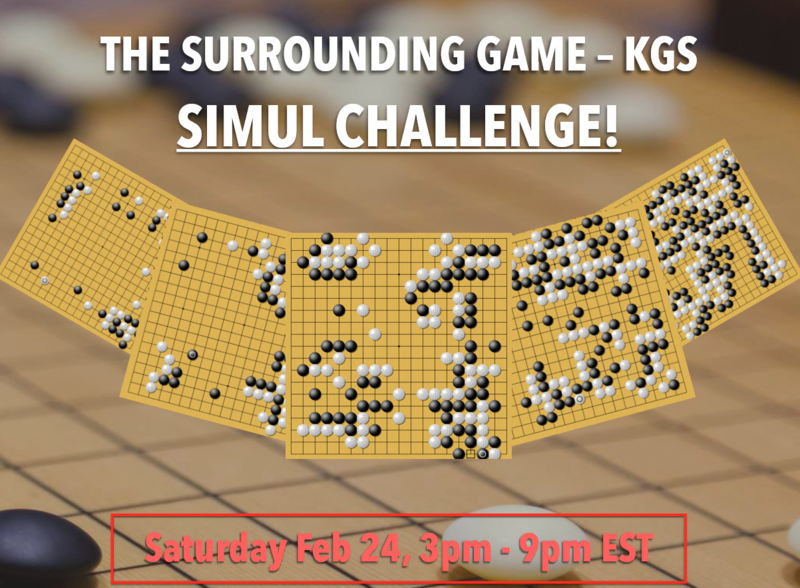 A special event will be hitting the KGS Go Server this Saturday, Feb 24. Dubbed the “KGS Simul Challenge”, a slew of strong players will assemble to play handicapped simul games against anyone online continuously from 3-9pm EDT. Jointly sponsored by KGS and the “Surrounding Game” documentary, the field will feature many of the film’s stars, including Andy Liu 1p, Gansheng Shi 1p, Mingming Yin 1p, and Myungwan Kim 9p. “Do you have what it takes to bring down one of these giants?” asks organizer Michael Fodera. All winners will receive a 1-month KGS membership subscription plus a free digital copy of The Surrounding Game.